Showing 56 articles from March 26, 2014. BUNN — The town of Bunn has a population of about 350, taking up about half a square mile. For Bunn High teenager Anna Dodson, the experiences she’s gained from her small town and the knowledge she’s learned from people within it should fit snugly into the suitcases she’ll take to UNC Chapel Hill. 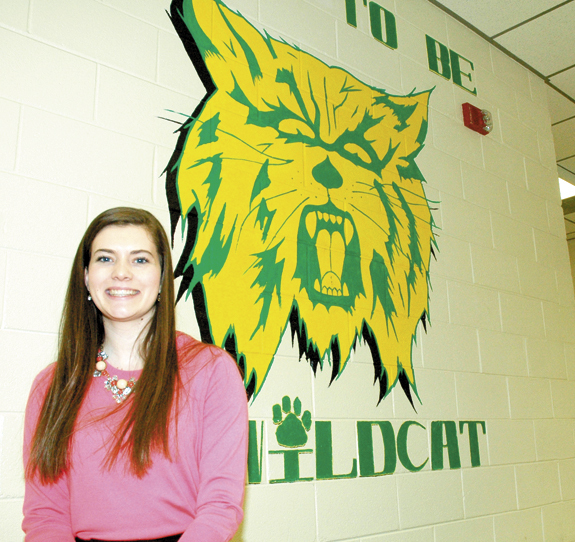 The high school senior will head off to Carolina in the fall, complete with her Morehead Cain Scholarship — an honor she can’t imagine receiving without the things she’s learned growing up in the southern Franklin County town of Bunn. LOUISBURG — Two former Franklin County employees have been indicted on charges of stealing more than $10,000. The county fired Billy Joe Brewer II from the planning office on Nov. 4 and Tammy Wester Davis resigned her planning office post the same day after authorities allege the two were responsible for embezzling funds. According to court records, Wester is alleged to have stolen $9,800 between November 2010 and November 2013. 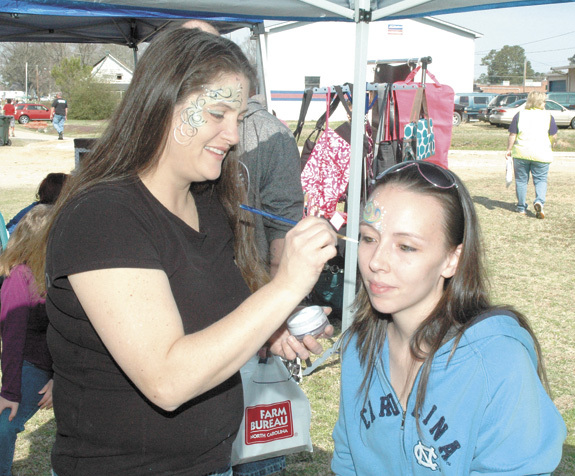 Cyndi McKnight, left, adorns Nicole Tupps’s face with fantastic paints during the Bunn Centennial Celebration held this past Saturday. It was the final event in a year’s worth of festivities recognizing the town’s 1913 charter. Organizers, including Commissioner Sherry Mercer, said the goal of the events was to bring unity to the community. LOUISBURG — Pilots and jumpers are tweaking a document that defines how skydiving takes place at the county airport. While the Letter of Mutual Understanding is not binding or enforceable, it has been used as a safety guideline for pilots and jumpers since the Triangle Skydiving Center began operations five years ago. But it’s not perfect, yet, said Steve Merritt, director of the county’s Triangle North Executive Airport. Dr. Jane Turner Censer, professor of history at George Mason University, will present a lecture entitled “Heroines and Farm Women in Civil War North Carolina” on Thursday, April 3, at 7:30 p.m. in The Norris Theater at Louisburg College. Ask just about anyone remotely familiar with government about what to expect from secret, closed-door meetings and the inevitable answer will be: Nothing good. With that in mind, nothing good is likely to come from recent talks between Duke Energy Progress and the North Carolina Eastern Municipal Power Agency, the generation arm of the much-disliked ElectriCities system that has pushed electricity rates so high in 32 communities, including Louisburg, across the northeastern portion of North Carolina. Roadside litter just keeps getting worse and worse! Has anyone looked around lately? It would appear that the not-yet-official “state flower” of North Carolina is in full bloom. No, it’s not the early blooming plums, pears or even the ornamental peach and cherry trees that are beginning to make such a showing. Drinking before the job: Was that wrong? If you know anything about the author of this column, it should be this: Essentially, anything in life can be referenced to an episode of Seinfeld — quite possibly the greatest situation comedy of all time. Earlier this week, I read a story where three members of the Secret Service were sent home from the Netherlands where they were supposed to be protecting President Obama. 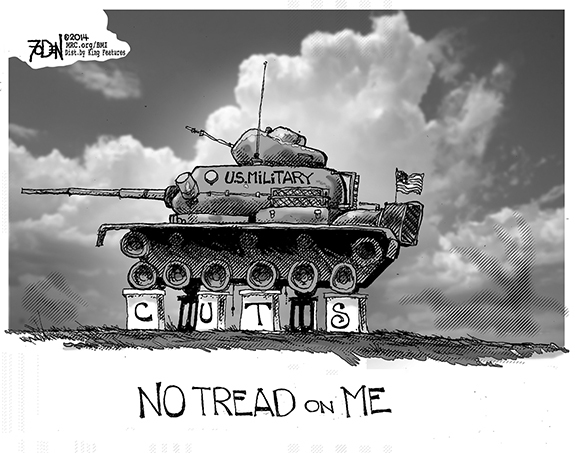 Politics, when you hear the word, what do you think of? It brings to mind many things. On the candidate level, it opens the question of who is the best qualified. Which person is most capable of performing the duties of the office? The first test for me is that of integrity. Last week Republican State Sen. Chad Barefoot finally received his 15 minutes of fame; it came in 30 second bursts on your television. A consortium of environmental groups pooled their “nickels and dimes” in an effort to somewhat counteract the massive misinformation campaign of the pro-fracking forces. CENTERVILLE —Funeral services for Euzella Williams Burton, 88, who died Sunday, March 23, 2014, will be held at 11 a.m. Sunday, March 30, at Perry’s Missionary Baptist Church, with the Rev. Randolph Alston officiating. Burial will follow in the church cemetery. 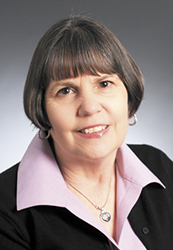 BURKE, VA - Funeral services for Sue Eaton Hopkins, 57, of Burke, Va., formerly of Henderson, who died Sunday, March 23, 2014, will be held at 4 p.m. Saturday, March 29, at Progressive Faith Baptist Church. Burial will follow in Sunset Gardens. SAILING AWAY. 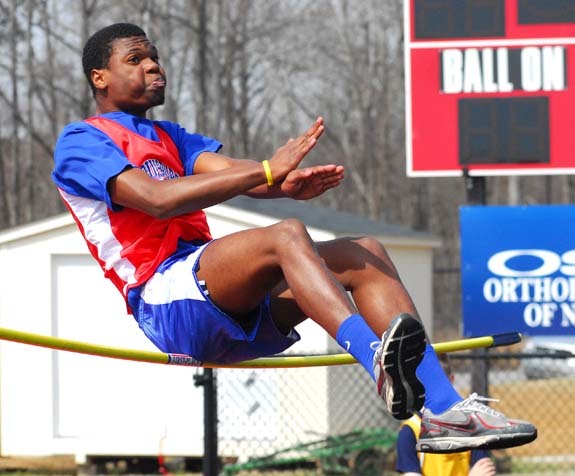 Louisburg High School’s Octavius Scoggins tries to clear this height in the boys high jump as part of last Saturday’s The Franklin Times Franklin County Track and Field Meet at Franklinton HS. 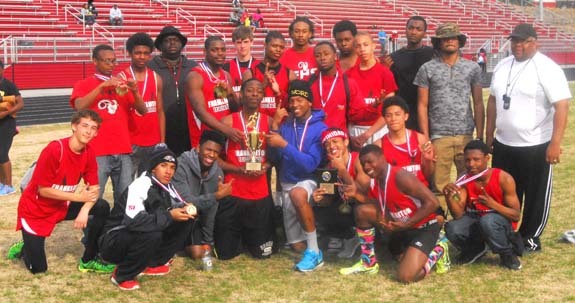 FRANKLINTON - Coach Trent Sanders originally thought his 2014 boys and girls track and field squads at Franklinton High School had the potential to be among his best ever. But then came the injuries, defections and transfers -- including several standouts who were expected to be important points collectors. HERE COMES THE HEAT. 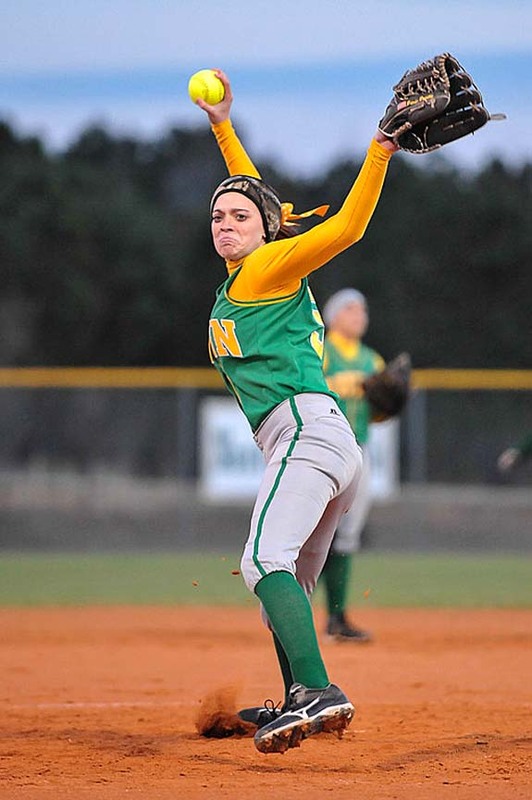 Bunn’s Parker Brantley delivers a pitch during Monday’s road softball game against Nash Central. 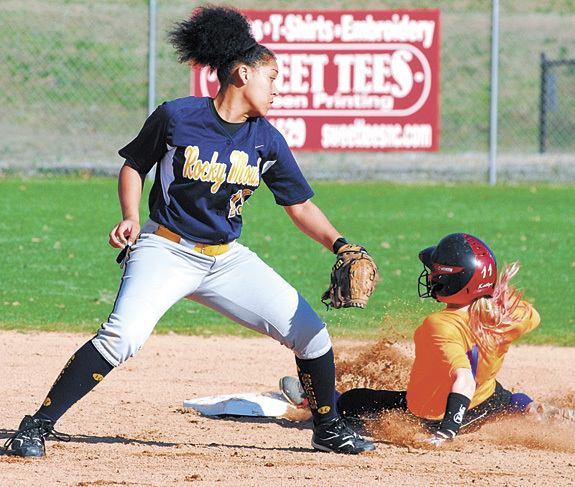 ROCKY MOUNT -- Both teams took advantage of opposing errors, but Nash Central would prove to be a bit more opportunistic than Bunn during Monday’s non-conference softball matchup on the NCHS campus. 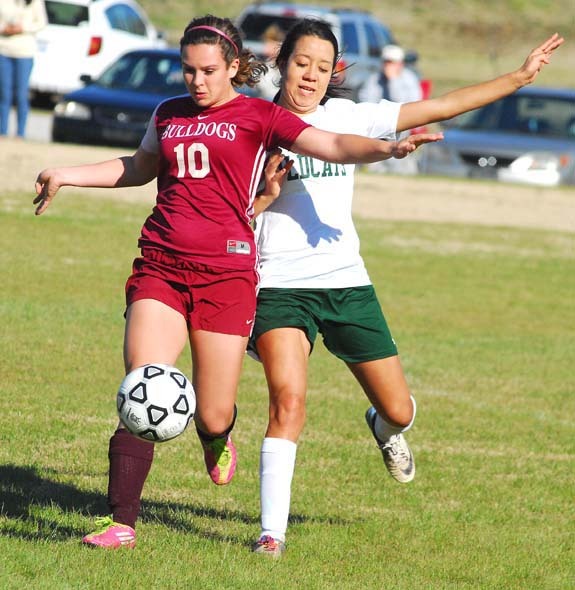 The squads have played their share of tight showdowns over the years, and this would prove to be no different as the Lady Bulldogs would hold off a late Bunn threat to secure a 6-4 triumph. LEADER OF THE PACK. 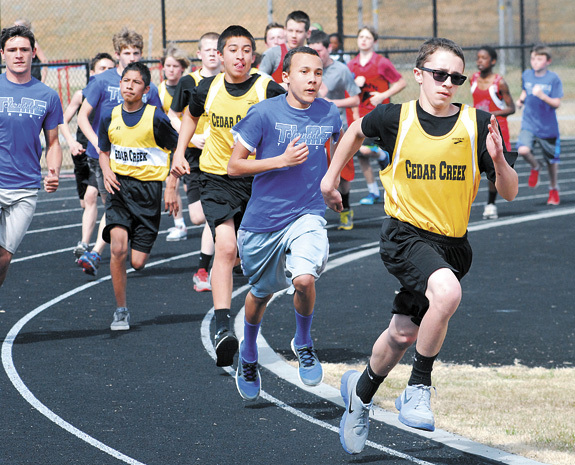 Cedar Creek Middle ’s Austin Cranfill (front) sprints ahead in this race at The Franklin Times Franklin County Track and Field Meet. 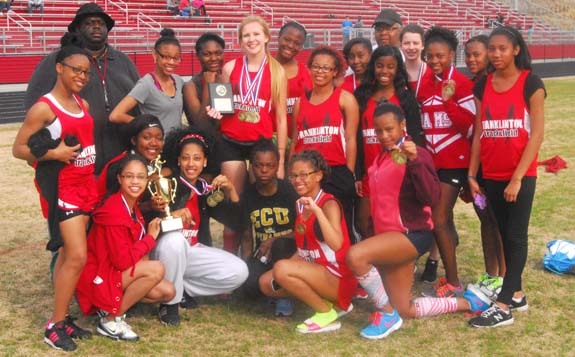 FRANKLINTON -- When the new Franklinton Middle School opened last fall, Cedar Creek’s Scott Bond wasn’t quite sure what would become of his perennial powerhouse track and field program. 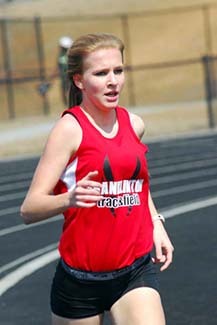 After all, a large number of CCMS students were destined to be reassigned to Franklinton -- including several potential standout athletes. YEAR OF THE KAT. Louisburg’s Katlyn Tharrington (right) swipes second base as Rocky Mount’s Carmen Richardson makes a late tag attempt. 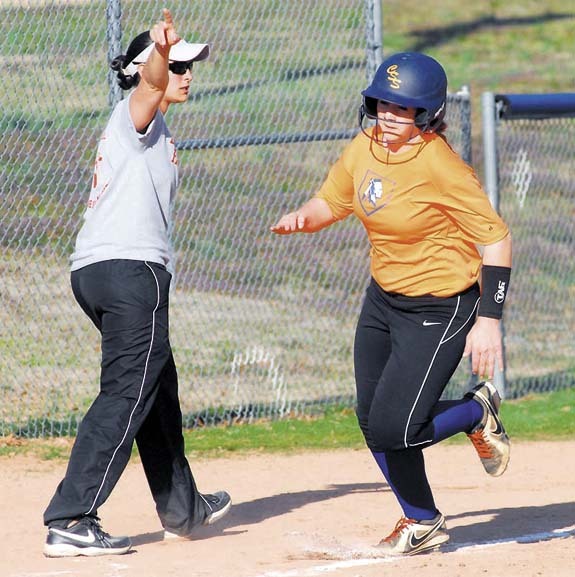 LOUISBURG -- Two teams loaded with underclassmen met last Friday afternoon for a non-conference softball contest at Louisburg High School’s Warrior Field. It became quickly apparent that the homestanding Warriors have a decided advantage in their development curve compared to the Rocky Mount Lady Gryphons. 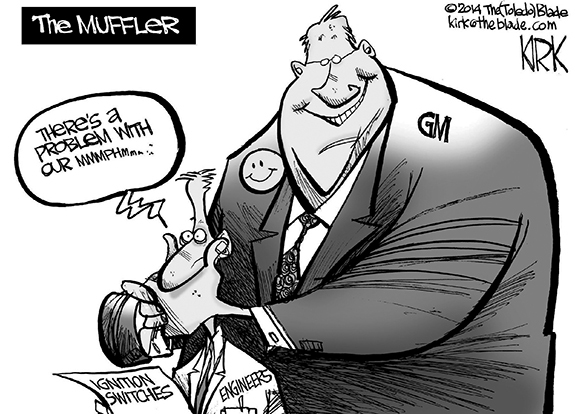 FORCING THE ISSUE. 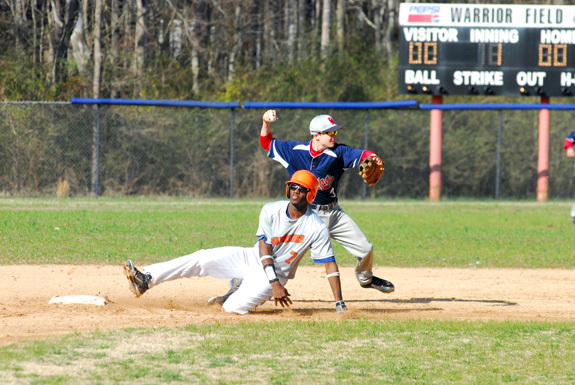 Louisburg’s Maurice Person slides into second base after being forced during the Warriors’ home victory Monday afternoon against Franklin Academy. LOUISBURG -- Before the season began, Louisburg High School head baseball coach Al Bolton felt like his club’s fortunes were in the hand of senior veteran Colton Young. Young, one of LHS’ most accomplished performers, was expected to be the mound ace for the Warriors this spring -- if he was cleared to pitch due to a nagging elbow injury. OVERLAND PARK, KANSAS -- Another successful basketball season at Louisburg College closed last week as the Lady Hurricanes participated in the National Junior College Athletic Association National Tournament. LC went 1-2 overall at the event and wrapped up play last Friday with an 86-76 loss to Lake Michigan College. Louisburg, coached by Shay Hayes, went 24-7 overall. CHARLOTTE -- East Carolina University completed a Conference USA series sweep at Charlotte by taking both games of the Saturday afternoon doubleheader 8-5 and 5-2 at Hayes Stadium. With the wins, the Pirates improved to 13-11 overall and 6-3 in league play, while the Niners dropped to 3-16-1 and 0-9. WARRENTON -- Nicholas Sanders and Christian Sledge combined to allow just one earned run as Bunn secured a road victory last Friday at Warren County in Northern Carolina Conference baseball action. Sanders worked four innings to earn the victory and Sledge was solid in three frames to help the Wildcats win by an 8-3 tally over the homestanding Eagles. RACE FOR THE BALL. (L to R) Nash Central’s Mia Gibson and Bunn’s Jessica Perez try to gain possession during last Thursday afternoon’s girls soccer matchup on the BHS campus. 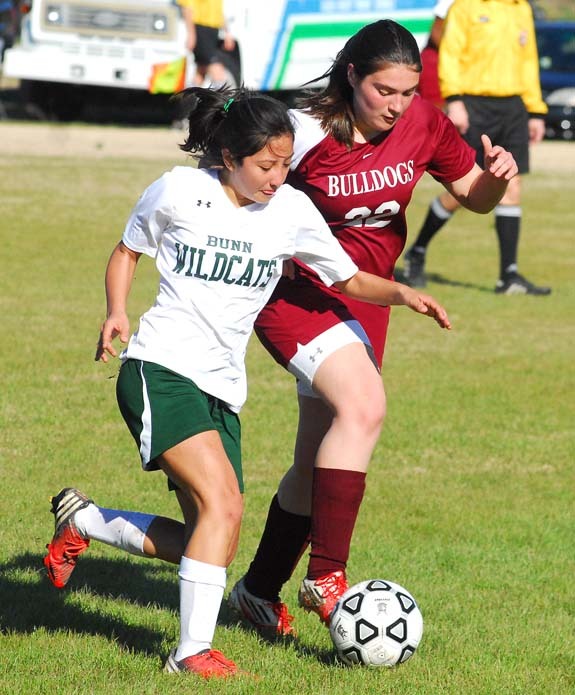 BUNN -- Even though Nash Central High School is in a semi-rebuilding mode this spring in girls soccer, it was still expected that the Lady Bulldogs would be solid on the defensive side of the ball. So while Central has been searching for some forwards to step up and become offensive threats, the defense has been sturdy, led by senior goalkeeper Abigail Ross. ZEBULON -- The Carolina Mudcats will open their third season in the Carolina League at Five County Stadium against the Potomac Nationals on April 3, and single game tickets are on sale. The 2014 schedule features 70 home dates. The home schedule is highlighted by Friday Night Fireworks throughout the season and three spectacular fireworks shows to celebrate Independence Day on July 3, 4 and 5. 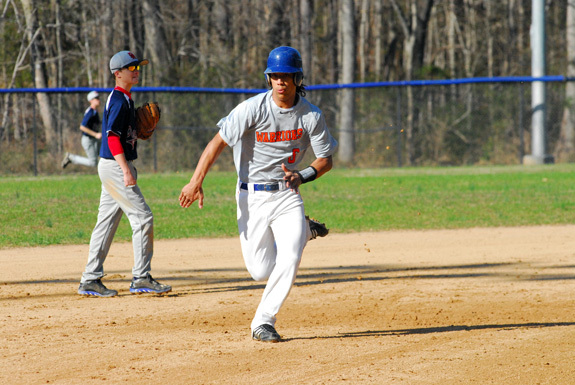 FLORENCE, S.C. -- The Louisburg College Hurricanes baseball team lost two games to Florence-Darlington Technical College Sunday afternoon, closing out a Region X weekend series with scores of 4-2 and 5-3. Tyler Holt and Tyler Dickens were the starting pitchers for the Canes and they each suffered losses to the Stingers. Holt gave up four runs on nine hits, while Dickens allowed five runs on seven hits in game two. NASHVILLE -- The Wounded Warrior Amputee Softball Team will appear at Glover Park in Nashville on April 12 from 9 a.m.-4 p.m. There will be free admission as the Warriors will take on a trio of area law enforcement organizations. At 10 a.m., the Warriors will meet the Rocky Mount Police Department -- an event that will be followed by a meet and greet from 11:30 a.m.-1 p.m.
(L to R) Nash Central’s Destiny Davis and Bunn’s Yesenia Ascencio reverse back toward the moving ball during last Thursday afternoon’s girls soccer contest at BHS. 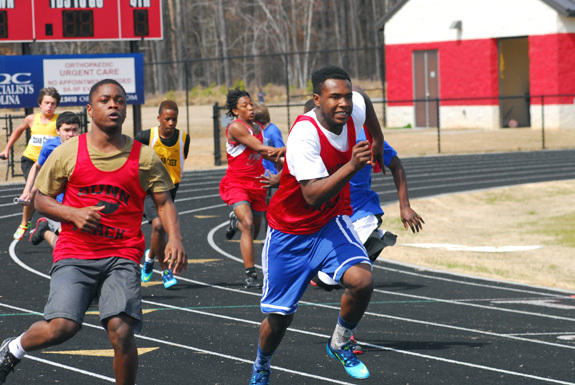 Bunn Middle School’s Richard Moody (right) sprints forward after taking a handoff from teammate Joseph Davis as part of the Boys 400 Relay last Saturday afternoon. Louisburg High School’s Chris Thorne races toward third base en route to scoring a run during Monday’s home triumph against Franklin Academy. 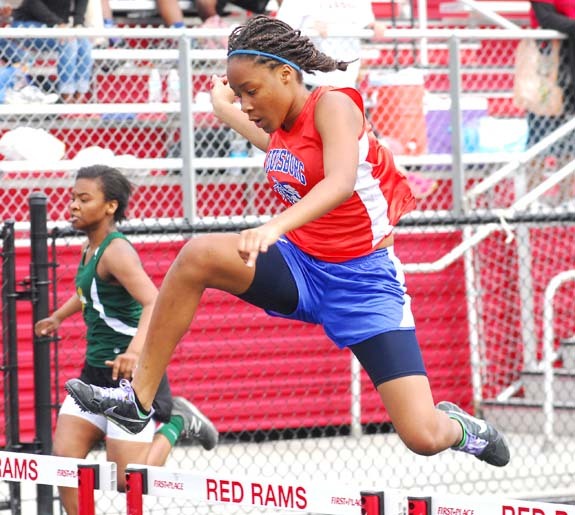 Louisburg High School’s Bryana Roundtree makes it over this hurdle during last Saturday’s action at The Franklin Times Franklin County Track and Field Meet at Franklinton HS. 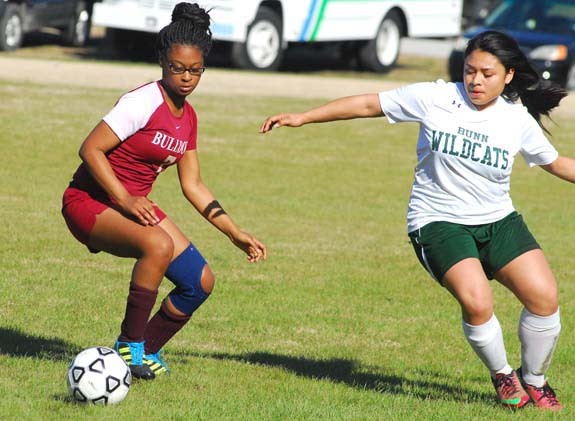 Bunn’s Jho Salmeron (left) comes up with a steal during last Thursday afternoon’s home soccer victory against the Nash Central Bulldogs. Louisburg High School coach Erica Wammock (left) points Summer Phillips toward home plate. 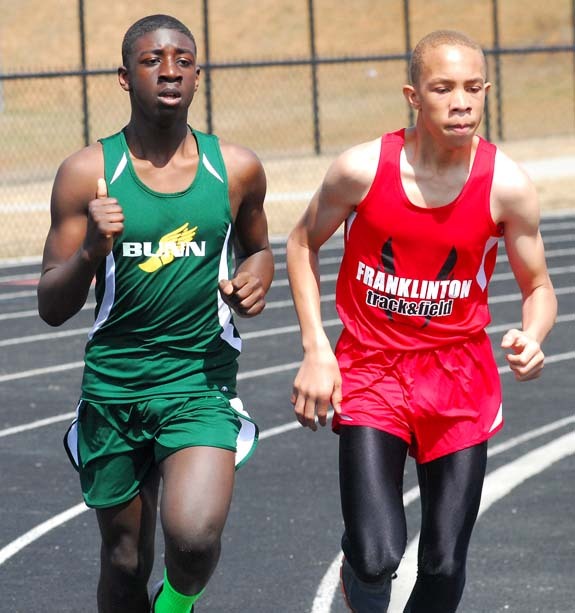 (L to R) Bunn’s Jalen Kelly and Franklinton’s Amari Rainey take part in a distance event last Saturday. 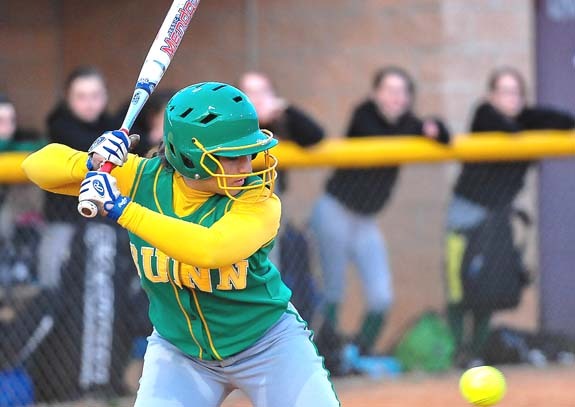 Bunn’s Stephanie Williams takes a pitch during Monday’s road softball setback at Nash Central. Don’t get conned! Crooks really are out to get you! Is someone ringing your doorbell, calling your phone or communicating with you online? Research, verify and report! According to the research, each generation since the Greatest and Baby Boomer have become less trusting of others. Younger generations do not always place their trust in strangers, in phone calls or in information they receive online. By contrast, older individuals were brought up to believe your word is your bond and few have previously heard of the scams that are taking place in 2014. The hit musical Godspell will be presented April 11-13 and May 1, at the intimate Norris Theater, part of the JPAC at Louisburg College. Research shows that people learn and retain more material if they do so by hands-on activities. 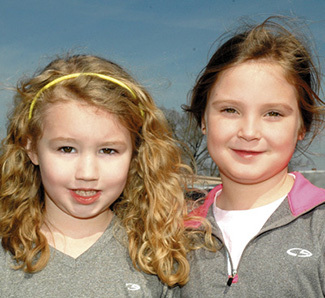 Franklin County 4-H strives to offer opportunities for youth to do just that, learn-by-doing. Terrell Lane Middle School and Boston University have had a long-standing relationship with the Alternative Spring Break (ASB) program. Nancy Shaffer has been an intricate part of this wonderful partnership. 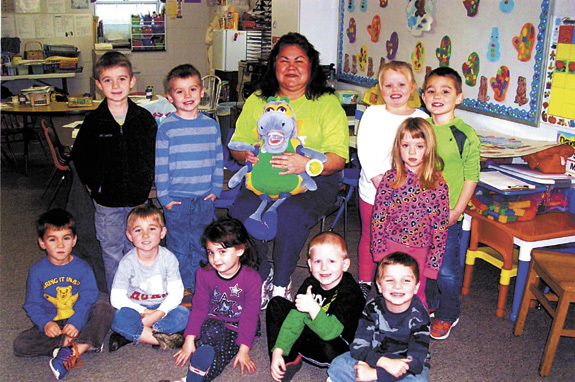 Harris Chapel Preschoolers celebrated Dental Health Month learning about good eating and brushing. Ann Wood, from Dr. Bert Kelling Orthodontics, visited with the preschoolers and talked about the importance of good dental health. She also showed the group the correct way to brush their teeth. Pictured (back row, left to right) are Camden Clark, Derek Walker, Ann Wood, Juliet Baker, Caiden Carpenter and Kamdyn Hays. Recently three Franklin County animal organizations came together for one common goal — the animals of Franklin County. 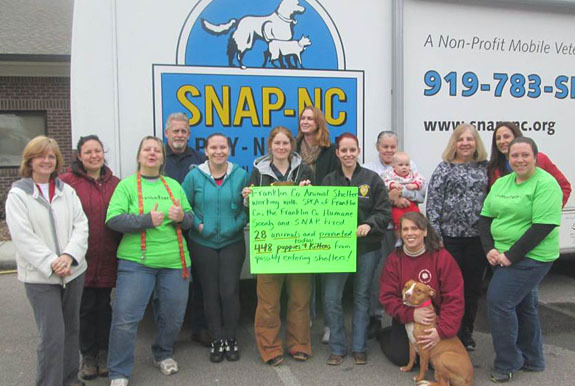 The SPCA of Franklin County sponsored the SNAP Mobile spay/neuter truck to make a special visit to the Franklin County Animal Shelter for the purpose of spaying or neutering animals that are up for adoption. WARRENTON — The law enforcement career of a Franklinton area man ended this month when he admitted to buying personal guns and ammunition on a town credit card. John Younts, 34, of Whitwands Way off N.C. 96, was Warrenton’s police chief from 2007 until 2011, when the town’s governing board fired him on suspicions of embezzlement. Franklinton police are looking for suspects alleged to have fired shots at town firefighters. David Robbins Jr. reported the evening of March 22 that he was at a housefire on Dunston Street with another firefighter when someone fired a shot at them. Residents and visitors had a chance last Thursday to meet area business and community leaders during the Youngsville Area Business Expo. 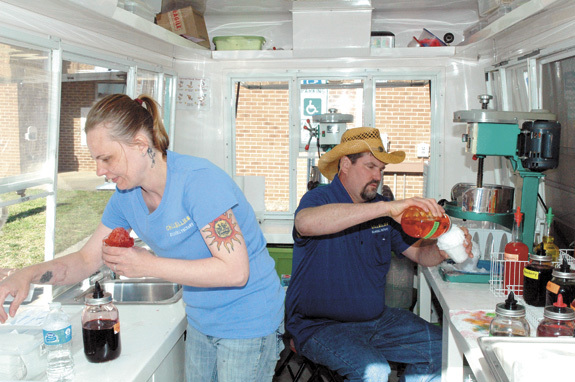 Above, Yvonne Gourley and Gary Battles of Chillbillies Snowball Factory make some cool concoctions for those looking for refreshment outside the National Guard Armory, site of the expo. SHE’S ACTING, NO LION. Kasey Clift performs a scene from Curiosity Cat that continues through this weekend. The play premiered Friday and continues this coming weekend, March 28-29. Directed by Heather Snow Clark, “Curiosity Cat” is the story of two displaced children living with their aunt, and a stray cat named Curiosity, whose own effort at helping other stray cats find somewhere to live eventually leads him and the children to a place they can all call home together. IT’S A CELEBRATION. 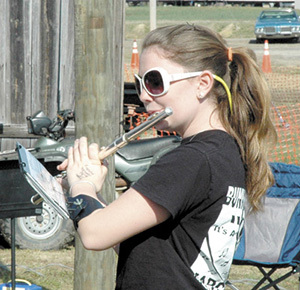 Left, Haven Collins plays the flute. IT’S A CELEBRATION. 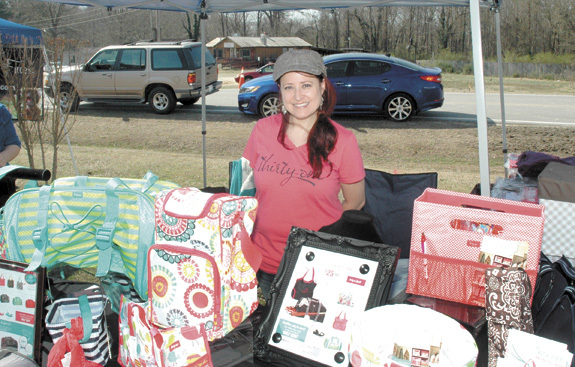 Above, Anita Roberts of Thirty-One Gifts displays colorful items for sale during the town’s 100 year celebration. IT’S A CELEBRATION. 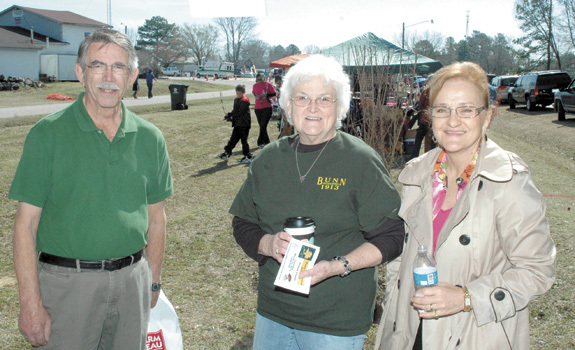 Above, Bunn leaders, Linda Pippin, center, her husband, Wayne, and Commissioner Charlene Clay take a moment for a picture during the town’s centennial celebration. Louisburg police are looking for suspects who stole cash and merchandise from a truck parked on a downtown street. Franklin County Republican Party Chair Jeremy Neal reported the afternoon of March 23 that he had parked his Chevy pickup truck in the 100 block of Nash Street in front of the party’s headquarters. Neal reported that someone apparently opened the passenger side door and removed cash, a .357-caliber handgun, an iPad, iPod, and Sony digital camera. LOUISBURG — Since 1947, the Pete Smith Automotive Group has changed a lot of oil, fixed a lot of brakes and repaired a lot of transmissions. In fact, it’s way more than a lot. Last month, proprietors recorded their millionth invoice — recognizing the Franklin County Department of Social Services as its 1 millionth customer. White Motors, Inc., of Roanoke Rapids, recently announced it has merged with LBJ Chevrolet in Nashville. “I believe this is going to be a very good venture for us and LBJ,” said Lawrence White, owner, White Motors, Inc. According to company officials, White Motors has been wanting to expand its dealership network for several years and after negotiating with several other dealers came to the conclusion that LBJ Chevrolet was the best option and the town of Nashville had the most opportunity for growth. 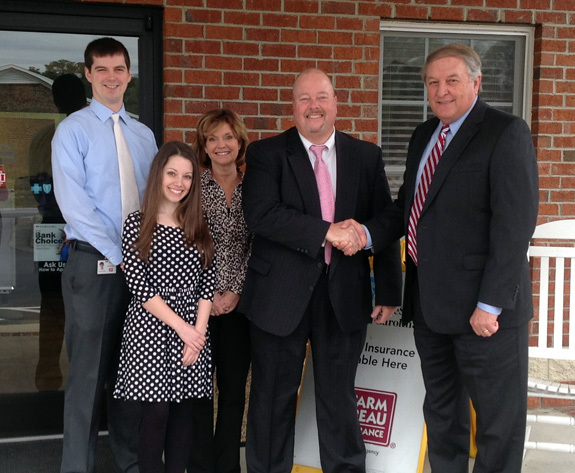 Franklin County Farm Bureau agent Wayne Champion, (fourth from left) is congratulated by agency manager Charles Early for being recognized as a Top Farm Bureau Health Insurance Producer statewide. Also shown are underwriters Matt Beamon, Ali Strano and Suzanne Lee.